Clean your home effortlessly! 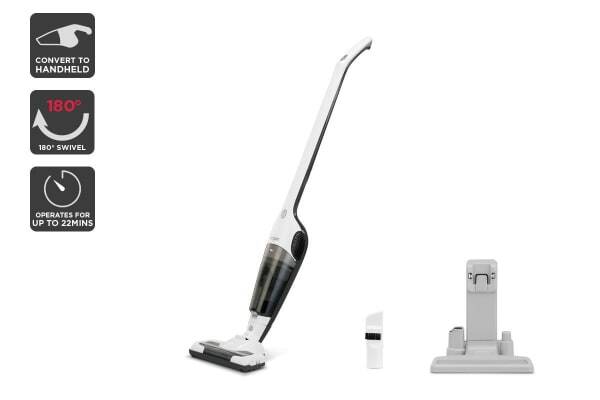 This powerful vacuum allows you to go cordless so that you can enjoy effortless and portabile cleaning anywhere! Stop bending your back cleaning every day, let the premium Kogan 2-in-1 Cordless 14V Stick Vacuum Cleaner do the hard work for you! From its extreme suction power to effortless maneuverability and cordless handheld operation, you’ll enjoy quicker, easier and more hygienic cleaning. No area is too difficult or hard to reach for the Kogan 2-in-1 Cordless 14V Stick Vacuum Cleaner. 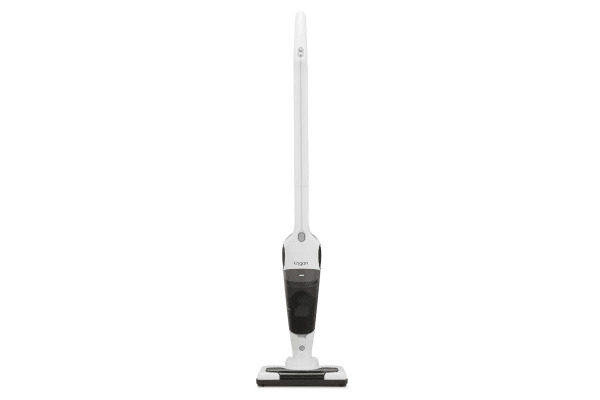 Harnessing 14V of power to flawlessly clean everything in its path, this robust vacuum with included motorised power head and 180 degree swivel allows you to effortlessly glide over wide areas, high, low and in between for the ultimate comprehensive clean. 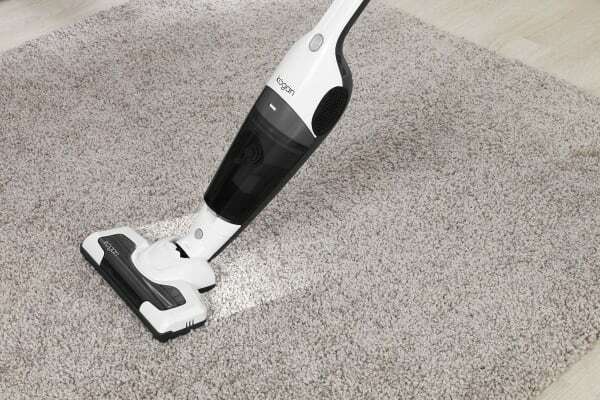 This vacuum operates in cordless mode for up to 22 minutes, allowing you to roam freely throughout your home without the hassle of having to collect the power cord and plug back into the power socket everytime! Its cordless flexibility is enhanced by its ability to seamlessly convert the vacuum to a handheld for quick cleanups, spot cleaning and those extra dirty areas that require concentrated cleaning attention. Compatible with Kogan 14V 2-in-1 Cordless Stick Vacuum Filter. Because it has been easy to use. I was pretty much satisfied, I realised last night that I could make it shorter as a hand held, so yeah pretty good. It works perfectly and I don't have to plug it in all the time. My carpet has never looked so constantly clean!